Recalling the days when i got worried as I haven't stepped in to any towns or cities in the Southern Part of Luzon, I couldn't help myself but asked, why am i not shading the map down there? When I know that there are great spots to see and amazing culture to experience. At last, the long wait is over, i finally realized and landed in Bicol region. 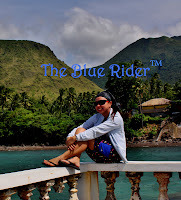 So there, this Discovering Bicol will start in Naga City and then Caramoan and will commence in Legaspi City for me to see the Majestic Mayon and to taste authentic Bicolandia dishes.